Years ago I jammed with a friend who had a T-60. I had a Les Paul and tried his out one day. That guitar was awesome! It was light, the fretboard was smooth and the weight was perfect. I loved the natural finish. I didn’t have much money back in those days and since I purchased a Les Paul, (which I loved) I could not afford a second guitar. Years later in the early 90’s I saw one hanging in a pawn shop for about $189.00, I passed it by and have regretted it ever since! I wish Peavy would make the T-60 again. There would be one in my house! They’re not totally extinct, you know. I’ve seen at least 3 in music stores here and there, and they have several in the Used Gear section on Guitar Center’s website. They run for about $250, you should definitely get one. If you shop carefully, T60s regularly appear on eBay, often by folks who do not know what they have. The T60 is the most underrated axe around. I was shopping many years ago, when they were new, and bought a Gibson instead–which I do not regret. But I remember the sweet clarity and bite of the T60 sound, and I now have a sweet T60 in mint shape which is my favorite guitar. The thing I cannot figure: why did Peavey ever stop making them? okay maybe ya’ll can answer my question. I realize that the t-60 isn’t neccesarily a rare guitar, however the t-60 that my grandpa left me is something of rare case. You see the serial number on it is nothing but zeros, which leads me to believe that this would be a prototype. So my question would be what would the price on a prototype be? I dont know the year model off the top of my head but I do know that it has been played only once and its is in immaculet condition, with all originally hardware. So if i could get an answer or a potential buyer even send me a msg at kaledracar619@yahoo.com. please put peavey t-60 as the subject of any e-mails. I appreciate any help i can get. I worked in music retail as a luthier and electronics technician for many years. I remember a few Peavey dealers having a T-60 in the shop as a sample. These guitars had serial numbers comprised of nothing but zeros. Example: 000000. The ones I saw were not prototypes, but were exactly the same as the full-blown retail guitars. I don’t know the reasoning behind the zero serial numbers. In any case, those of us who were guitar snobs back then laughed at any Peavey product. I certainly had an elitist attitude with my Gibson guitars and Marshall amps. However, we just thought we knew what we were doing. When I see a T-60 now, I realize what a great guitar it is. It was an innovation that appeared well before it’s time. Many folks don’t know that it was a manufacturing innovation as well. It was the first time any factory had set up computer numerically controlled (CNC) machinery to produce guitars. 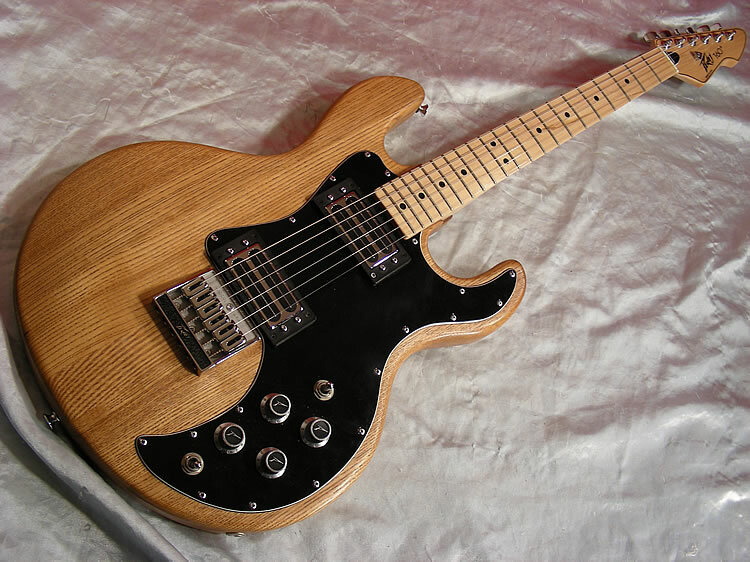 The T-60 was the first guitar to be made in this way. In any case, you live and learn. The T-60 is one of the finest guitars ever made and they hold up very well. If you have any questions about the T60, there is a fan forum called T60mafia.com. that you can join. They have an incredible base of knowledge and are happy to share it. I have a Peavey T-60 and it’s in great condition, my father left it to me and i want to know more about it, its the same one from the picture above.